Recently I have been reading up on frequency domain image processing. I am still just beginning to understand how it works. 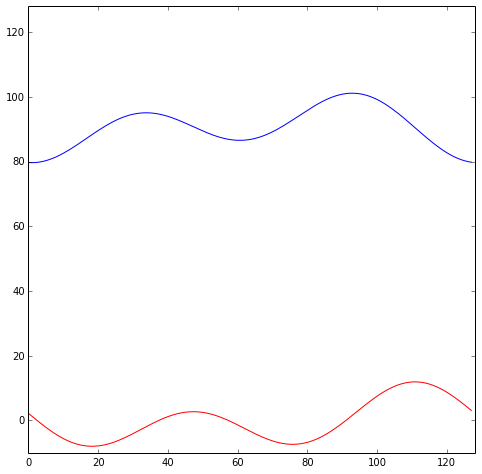 Over the last few weeks I have been trying to understand the ** Fourier Transform **. Although the gist of Fourier Series is easy to understand from its formula, that of the Fourier Transform isn’t (to me at least). This blog post describes the Fourier Transform as I understood it, along with some helpful diagrams. 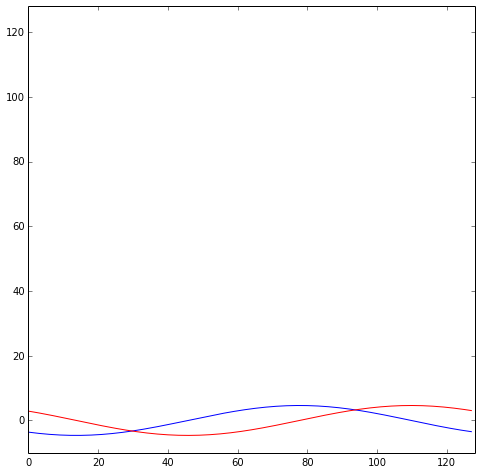 I am using NumPy and matplotlib for plotting. As a reference for all the equations mentioned in this post, I am using Digital Image Processing (3rd Edition). To simplify this, we can replace . now becomes. We can say that, is now exactly equal to an infinite sum of certain sines and cosines. The Wikipedia Page has some pretty nice visualizations of the concept. This is what took me a while to understand. The discrete fourier transform, is derived from the Fourier Transform. 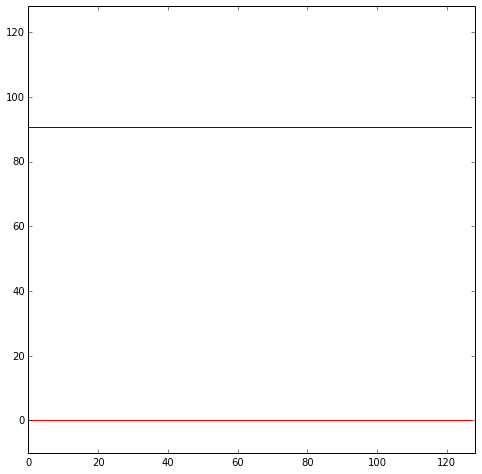 Given a discrete function whose samples have been collected, we have. As you can see, the function of is transformed into the function of . Although the relationship of and is mathematically proven, the underlying meaning was not immediately apparent to me. What puzzled me was, why is computed at all, and how can it tell us anything about . The way I looked at it to understand it better is as follows. From the above equation, it is clear why the Fourier Transform is important. The function , has given us coefficients to express as a sum of sines and cosines. I will try to demonstrate this with some code. I wrote a small helper function to help me input curves. 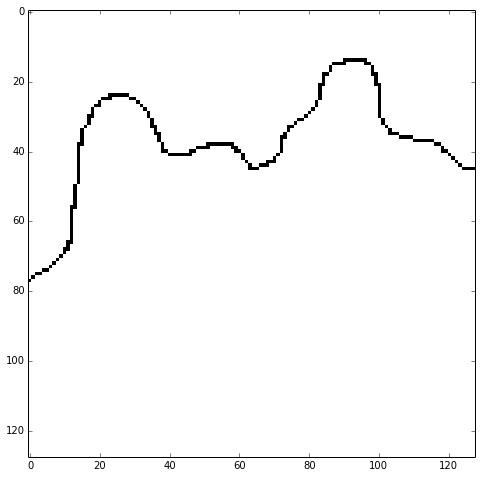 The following function taken an image of a curve drawn in black on white and saves it into a .npy file. You will need the scikit-image library to use this.
""" 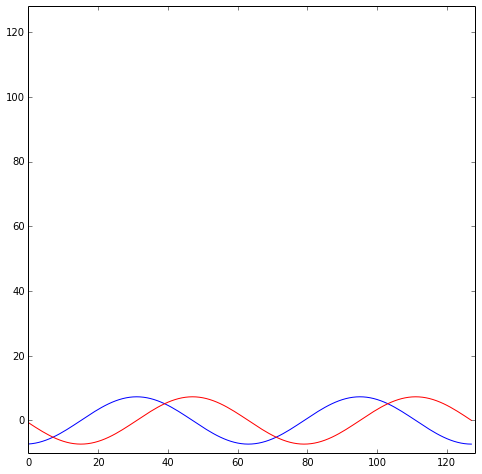 Converts an image of a curve into numpy array and saves it"""
""" Plots real and imaginary parts of an array """
If you’d like to, you can download the original image and the curve.npy file. 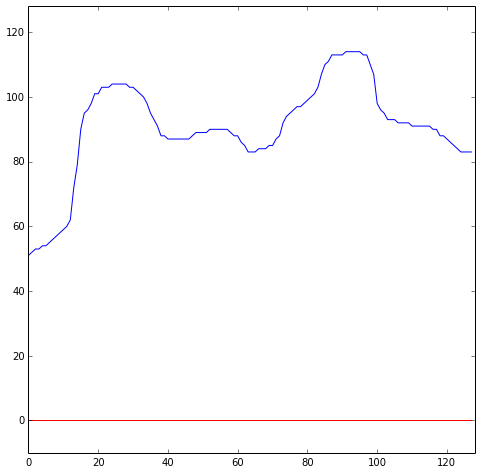 We will compute the discrete fourier transform using NumPy’s np.fft.fft method and observe the first 5 terms. curve_fft is our function as described above. Applying the inverse transform to curve_fft should give us back curve exactly. But let’s see what happens by considering an element in at a time. First we take only and apply the inverse transform by using np.fft.ifft. As you can see, it is a real constant shown in blue. As you can see the resultant curve is trying to match the original curve. The imaginary part in red, will eventually get zeroed out when all the terms of are considered. The code snippet below generates successive images of contribution of each term in . In nth still, the blue and red lines show the real and imaginary part of the curve so far, and the dotted lines show the contribution of . to generate the final video. As I understand DFT more, I’ll keep posting. Till then, thanks for reading.